Soil is a complicated being. 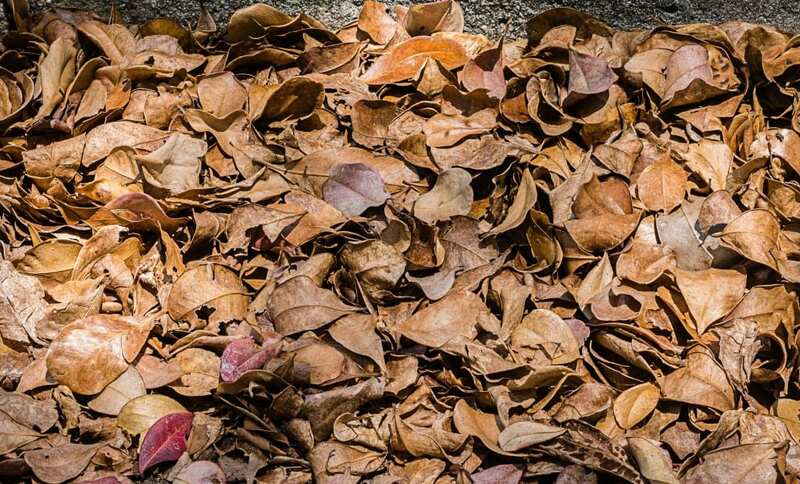 It contains a mixture of many different materials, including rock and minerals, decaying and decomposed organic matter, air, water and living organisms. High quality soil can happen naturally. But don’t forget the governing rule of the environment: what you remove, you must replace. When you grow plants, they will take up nutrients, and you will definitely need to top up the soil to keep your plants flourishing. Healthy soil is alive, filled with microorganisms like bacteria, fungi and yeast as well as creatures like earthworms. They break down organic matter to release nutrients for your plant roots to take up. They also help improve soil aeration and structure. Soil is the foundation for your garden, and once you understand it, you can begin to improve it in time for the gardening season ahead. 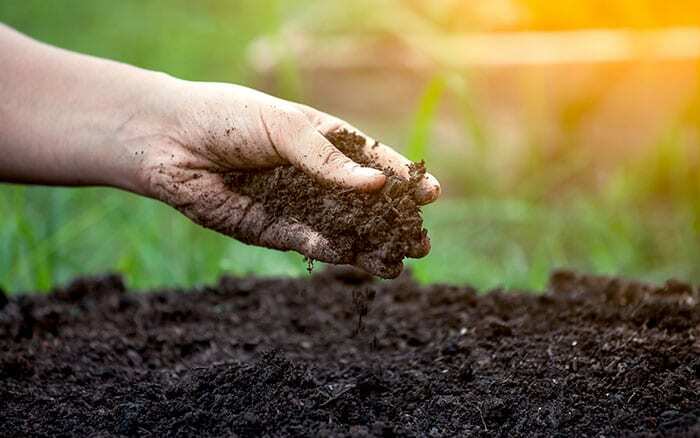 A look at the different types of garden soil, and how to test yours. 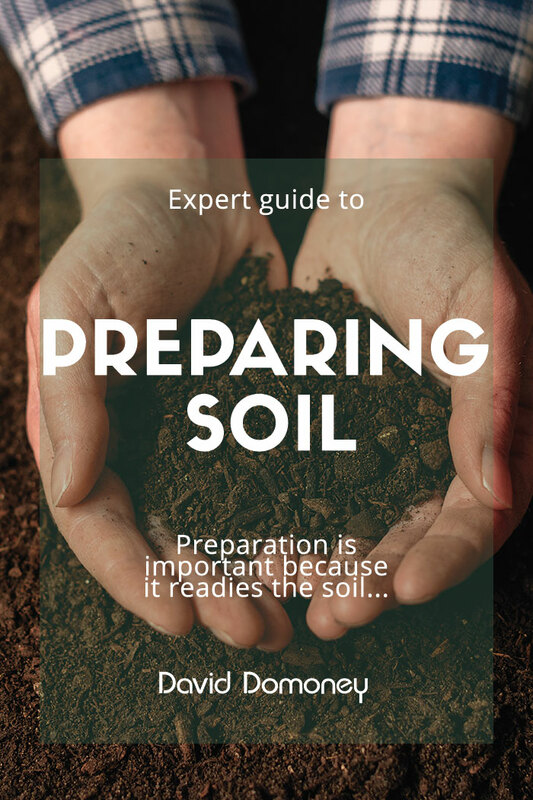 How to improve the condition and quality of your soil. Testing your soil and what its acidity or alkalinity means for you. Great versatile plants for each soil type. Before you do anything else, it’s vital to find out what type of soil you have in your garden. Soil is made up of a mixture of different sized mineral and rock particles, depending on the underlying land. The soil type is determined by the most abundant type of particles. There are five main soil types. To test yours, grab a handful of soil and squeeze it between your fingers. How it feels should tell you what it is. THE FEEL: Smooth, sticky and heavy when wet. It can easily be rolled into a ball shape in your hand. It may shine when smoothed. Clay soils contain at least 25% clay and are lumpy and sticky when wet, and set like concrete when dry. They hold a lot of water which can cause some drainage problems. This also means that the soil is slow to warm up in spring, which may delay the growth of plants a little. Clay soils will need a lot of work and the addition of plenty of organic matter to break up their solid structure. But, if managed well, clay will become easier to work with and also richer in nutrients than some other soil types. THE FEEL: Gritty and dry, with lots of coarse sand particles. It will not stick together to form a ball in your hand. 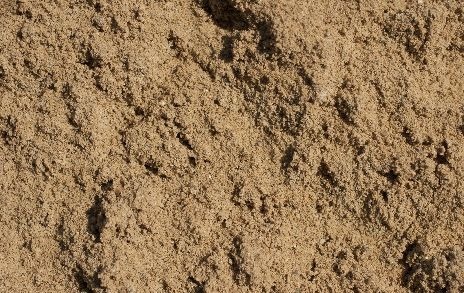 These soils have a high concentration of sand, meaning that any water quickly drains away. This can cause problems because the nutrients in the soil are washed away before the plants are able absorb them. To combat this, sandy soil will need plenty of added nutrients and moisture..
As well as organic material, it helps to add fertilisers to your plants, to give them an extra boost. However, on the positive side, sandy soils warm up quickly in spring and are an easy type to cultivate. THE FEEL: Mixture of sand and clay properties. The grains are really fine with a silky feel. It will not roll into a ball, but you can squeeze it into a little sausage shape instead. 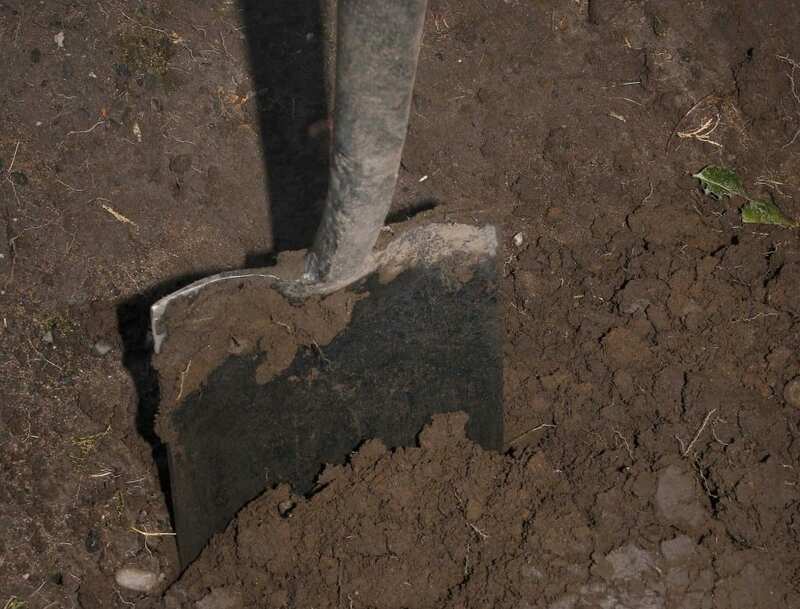 Silty soils are smooth and soapy to the touch, but made up of very fine particles which are easily compacted. They can also suffer from poor drainage. Silty soils are less common than other types. This soil is rich in nutrients and holds more water than sandy ground. It can be a good fertile soil with the addition of organic matter to bind the fine particles. THE FEEL: It is full of lumps of chalk, stony and is pale in colour. Chalky soil is usually stony, which can make digging difficult. It is also low in nutrients, so will need plenty of organic matter and fertiliser. It drains easily but can get very dry in summer, so you will need to give it a lot of extra water. It has a high lime content which means it is alkaline and won’t support ericaceous (acid-loving) plants. It’s important to note that there is no solution to very chalky soils, so the best option is to choose plants that thrive in alkaline conditions. THE FEEL: Exactly how soil should feel: smooth, not too sticky or too dry. It feels partly smooth and partly gritty when made into a ball, and will crumble easily. 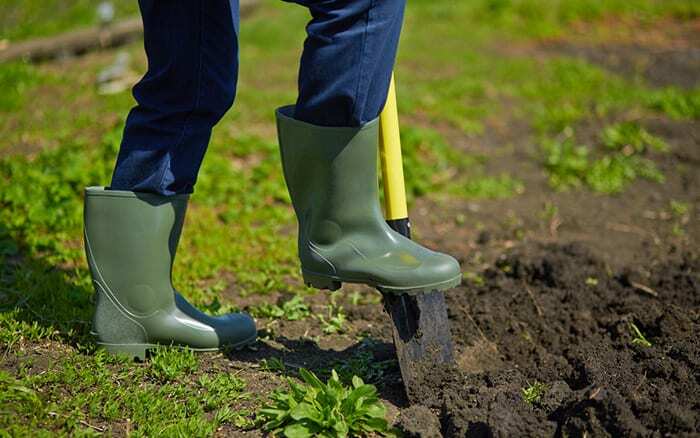 Loamy soils are a gardener’s best friend because they have a good balance of materials. They are a combination of roughly 40% sand, 40% silt and 20% clay. This means they have a good structure and drain well, yet they retain enough moisture for the plants. They are also quite high in nutrients, making them ideal for cultivation. 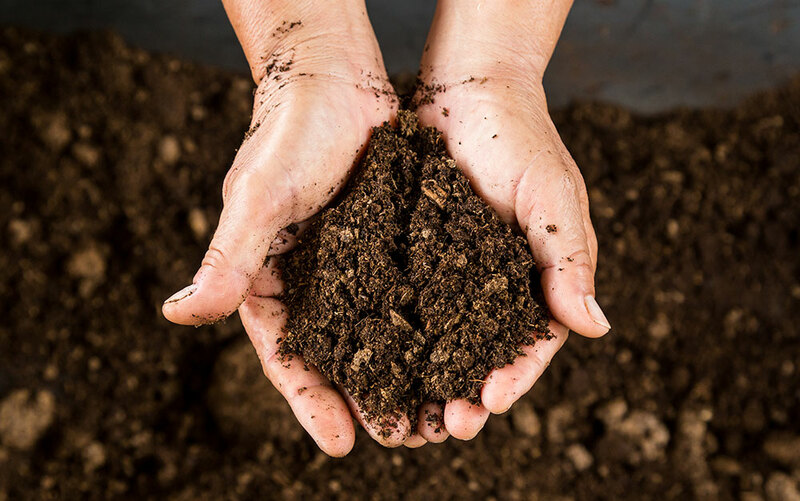 If you have this type of soil, you won’t need to do much to it, but don’t forget to add organic matter every couple of years or nutrient levels will diminish. Bear in mind that these types refer to the predominant characteristics of your soil, but there can be huge variation. It may be slightly sandy or a loamy clay. 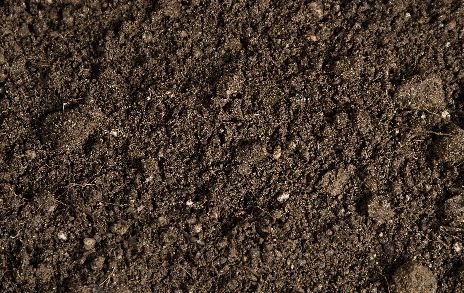 If you want a better idea of the ratios of particles in your soil, put some in a sealable jar with water and shake it vigorously. Let the soil settle overnight. In the morning you’ll see distinct layers: sand at the bottom, clay on top and silt in between. Chalky soil will turn the water a pale grey colour. Don’t despair if your soil type is not ideal – you can improve it and make the most of plants with organic matter. There are many different types to choose from. All will increase nutrient levels and modify the texture, reducing water retention. Whichever you choose, the organic matter should be dug well into the soil at a rate of approximately half a wheelbarrow load per square metre. Dig your soil over to at least a spade’s depth. New beds will benefit from double digging. If you have very poor soil, give plants an extra boost with a good fertiliser such as blood, bone and fishmeal. 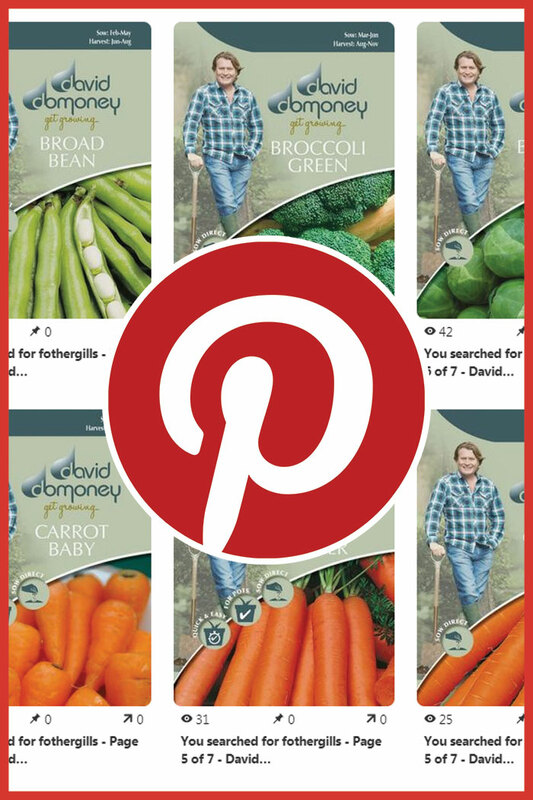 Don’t panic if you’ve already planted your garden! 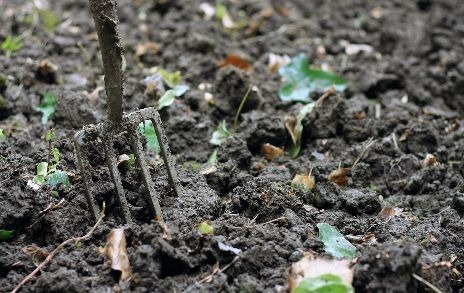 To improve the soil of an established bed or border, gently loosen the topsoil around the plants with a fork or trowel. Spread the soil improver over the top in early spring before the growing season begins. This is known as mulching and will provide better soil conditions for established plants and shrubs. Consistency is key with soil improvers – add them little and often. Soil won’t change overnight, but you can dramatically improve it with regular applications of organic material. This is easy but expensive. It’s best used on new plants and in containers to give your garden a head start. To reduce costs, just add a handful to the hole when planting something new in a border. This is cheap and easy. It’s a good addition to clay and sandy soils as it brings extra nutrients and a bit of lime. It works well on the veg patch too. Dig it into soil or add it as a thick mulch around established plants. 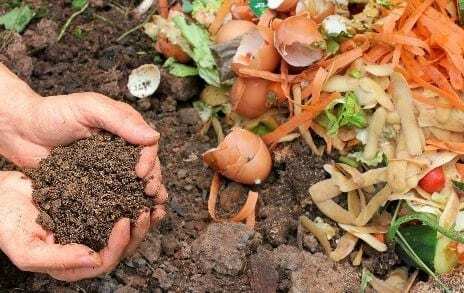 This is a cheaper alternative to shop-bought compost. You can use most kitchen and garden waste. It takes time to produce, but it will save you money in the long run. All compost will improve the texture of clay soils and help sandy soils retain water and nutrients. These don’t add nutrients, but you can dig bark into heavy soils every year to improve the structure and drainage. It may acidify your soil slightly. This is great for aerating compacted soils. You can also make it yourself by collecting fallen leaves into a bin bag. Punch holes in the plastic, moisten the leaves and seal it. Leave it for a year until it turns into a crumbly mess, and dig in. Ash from wood fires is a good, nutrient rich soil improver, but it’s quite alkaline so use sparingly. Mix a small amount into some compost until you can no longer see the ash, and dig into the garden. Alternatively, you can apply ash directly onto an empty veg patch in winter and fork it over. There are a range of these products available in garden centres to treat specific problems. They can help with drainage and air circulation in the soil. Be careful to always follow the pack instructions. Many gardeners consider this to be the best organic matter for the garden. It’s full of nutrients and has a great structure. Check the Yellow Pages or on the internet to find local companies who will deliver it in bulk. Make sure to buy a well-rotted variety. Soil type is not the only important factor to consider when you’re testing your garden. The pH of your soil is also important. The term pH stands for potential hydrogen, and measures the number of hydrogen atoms are in the soil to determine how acidic or alkaline it is. A pH test will give your soil a numerical rating from 1 to 14. Most soils are between 4.5 and 8. The higher the number, the more acidic your soil is, with around 7 being neutral. 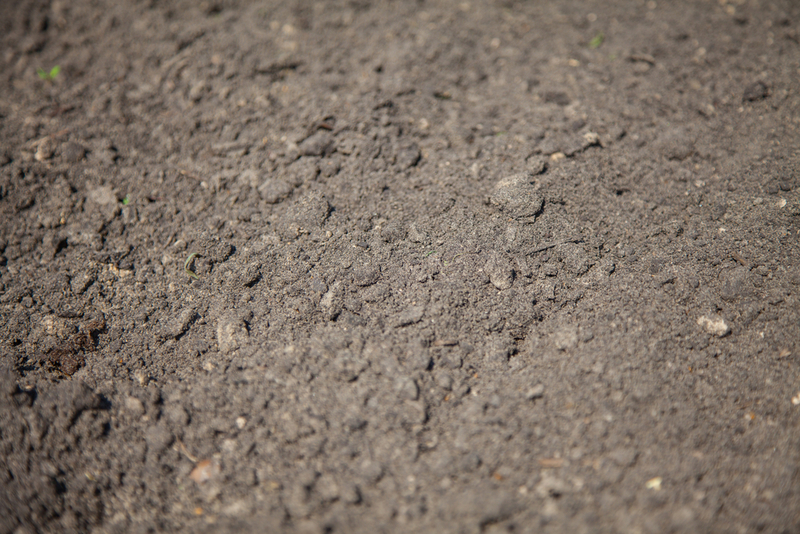 Soils that have a high calcium content are very alkaline – this includes chalky soil. Very sandy soils tend to be more acidic. You can buy soil testing kits from most garden centres for a couple of pounds. 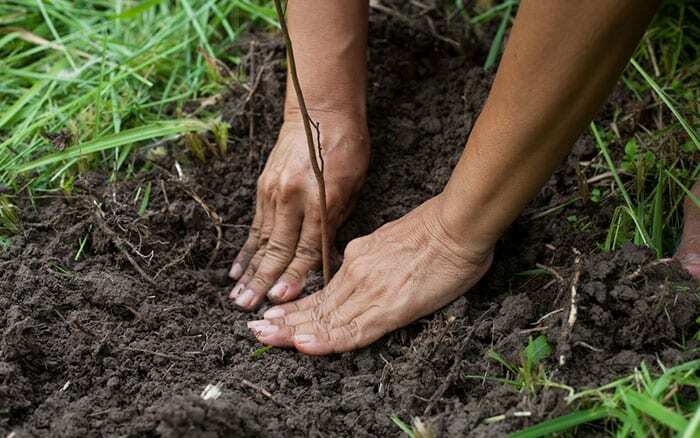 You should always test the soil before planting a new garden. But, it is also worth doing it if you’re planning a fruit or vegetable plot, if you’ve had some disappointing plant growth, or if you’ve got any yellowing foliage. Take soil samples from 5 to 8cm deep. You will need to do this from multiple points in the garden. Either do several tests or mix soil samples together for an average result. Put the soil in the kit and add chemical indicator. Add water as directed, close and shake. Leave for the colour to develop and check it against the pH chart. this is alkaline soil, and may need an acidifier adding to it. is neutral for soil, and is ideal for most plants. This is the result at which all the bacteria and nutrients are the most effective. this is acid soil, and is ideal for acid-loving (ericaceous) plants. You will need to add lime if you wish to grow other types of plants. this is highly acidic soil and may limit how well your plants can grow and extract nutrients from the soil. 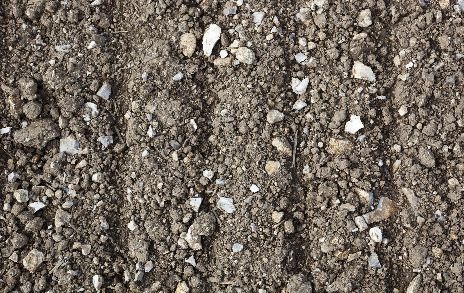 You can adjust the pH of soil by adding limestone to acid soils or sulphur chips to alkaline soils. Bear in mind that you can only bring about minor shifts in pH. It is also easier to raise pH (make the soil more alkaline) that to lower it. Only alter the pH if necessary – it’s better to concentrate on growing plants that suit your soil. 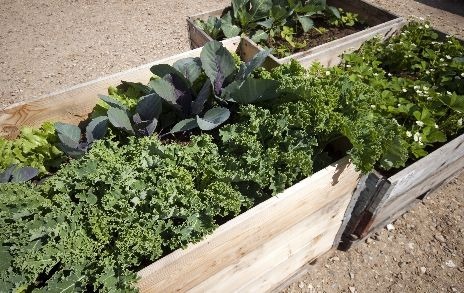 You can always add containers and raised beds with pH neutral compost to grow other plants. Use slaked lime (sold as garden lime) or ground lime (dolomite limestone), not builder’s lime. It may be cheaper, but it’s less effective and will need more applications. Sometimes, it’s far easier to adapt your planting to your soil type and pH than to try and change them. Always add organic material to make the most of your plants. If your soil is very low in nutrients, consider a fertiliser too. Don’t forget to consider position and light levels too! Roses, Bluebells, Foxglove, Hosta, Sedum, Sorbus, Peonies, Helenium, Aster, Weigela, Chaenomeles, Labernum, Berberis, Hydrangea, Abelia. 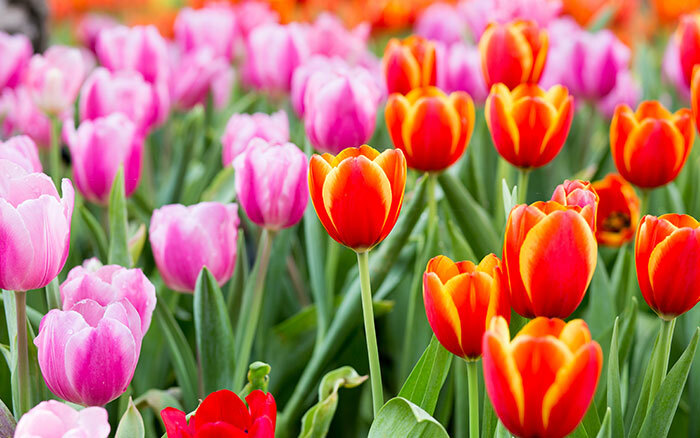 Tulips, Daphne, Cytisus, Hibiscus, Verbascum, Eucalyptus, Juniper, Pine, Buddleia, Lavender, Allium, Iris, Poppy, Wallflower, Wisteria, Euphorbia, Euonymous, Ceanothus. Mahonia, Phormium, Kerria, Malus, Bergenia, Silty soil Pyracantha, Nicotania Alata (tobacco plant). Heather, Crinodendron, Hamamelis, Camellia, Rhododendron, Pieris, Hydrangea, Azalea, Magnolia, Blueberries, Witch Hazel. Mint, Lilac, Madonna lily, Dianthus, Philadelphus, Sedum, Thyme, Verbascum, Carnation, Wallflower, Delphinium, Buddleja, Wisteria, Deutzia, Helenium, Daffodils and veg, especially brassicas like Broccoli and Cabbage.